Because of the fact that I am no englishmen, please send me a mail if you find errors (yu now wat I meen). My mailing address is published here. On September 27, 2018 my number 3 is finally overhauled! 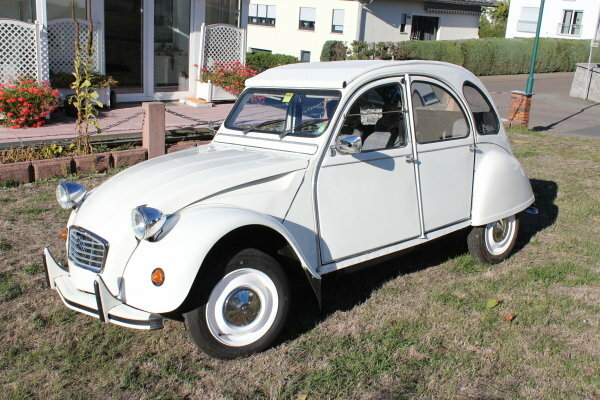 26+27.07.2014 I was at the meeting of 2CV friends in Diedenbergen. 01.05.2012 My pictures of the excursion 2012 are online. 09.09.2011 Entmontage goes youTube, hence there is a new column called videos. 08.12.2010 Many brochures were added to the new column printed matter. 20.11.2010 I overhauled the rear drum brakes of my number 1. 22.10.2010 The column tips & tricks is filled with some content. 18.10.2010 I inserted the new column drawings. 05.10.2010 I documented the assembly of the cockpit of my number 2. 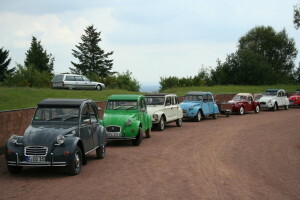 25.07.2010 I have been to the 2nd meeting of vintage cars in Bingen (Germany). 08.07.2010 I had to replace a wheel bearing at my number 1. 27.06.2010 I have been at the meeting in Rüsselsheim (Germany). 29.05.2010 I have been at the meeting in Hattersheim (Germany). 14.05.2010 I published an article of the German print magazine "Auto Bild Klassik" at the new column veteran car. 10.05.2010 The new column Car review completes the Press reviews (for the present). 06.05.2010 I published an artikel of the german printmagazine "Auto Bild" about the "Raid Patagonie" at the column veteran car. 04.05.2010 Pictures of the excursion with the "Entenstammtisch Rhein-Lahn" are online. 30.04.2010 The columns sales promotion and veteran car are online. 29.03.2010 The column Reader's pictures has been enlarged by the pictures of Achim, Jörg and Adrien. 30.01.2010 Ingmar sent me a mail with informations about the Condesa and so I have overhauled this column. Here you can see the Condesa. 02.11.2009 Here you can see the Pembleton-kitcar. 17.10.2009 I have been to the 24h Race of 2CV at Spa Francorchamps. 07.09.2009 The new bottom plate of the boot of my no. 2 has been welded. 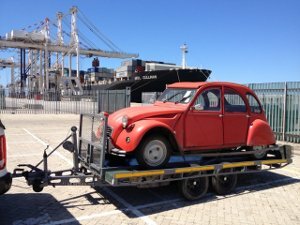 14.08.2009 I have taken some nice pictures of two Renault 4CV, which are to be sold. You can have a close look underneath the bodywork here. 04.08.2009 My travelogue of the worldmeeting in the Czech Republik is online.